This is either flat leaf parsley and curly leaf parsley, or cilantro and curly leaf parsley. I’m hoping for the first, because if I treat cilantro like parsley, it’s going to die. I’ve been meaning to install a container herb garden in my office ever since I liberated the plastic bookshelves of their duty by building a new wooden shelving unit last summer. There have even been occasional plants put in my office with the intention of having them survive and be the beginnings of an herb garden. 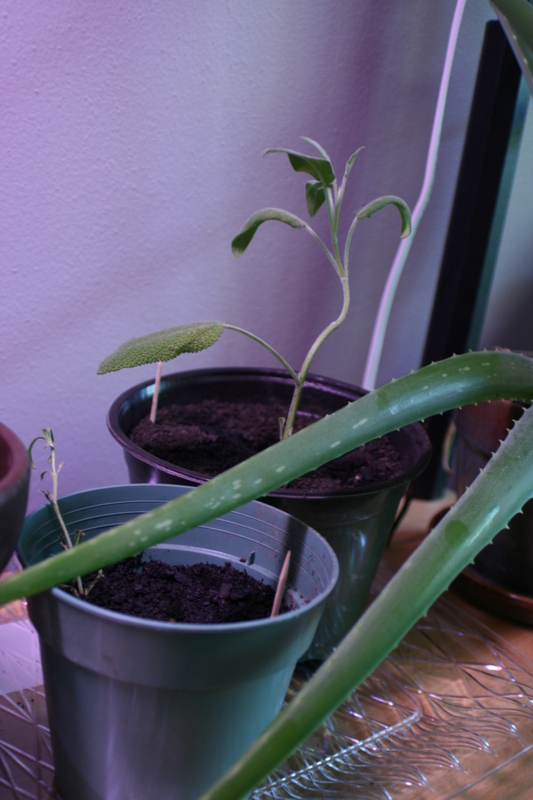 Those never worked out well, so Poke the aloe plant had a shelf and a sun light all to himself for ages and ages. This is mint. I’m told mint can’t die. It looks like it really wants to. Last week I gave shelter to some friends afflicted with a third floor walkup and busted A/C. This involved them bringing over plants their CSA had given them as part of their drop that week. They had no intention of establishing an herb garden and were just going to pluck the little plants for all they were worth and let them die. 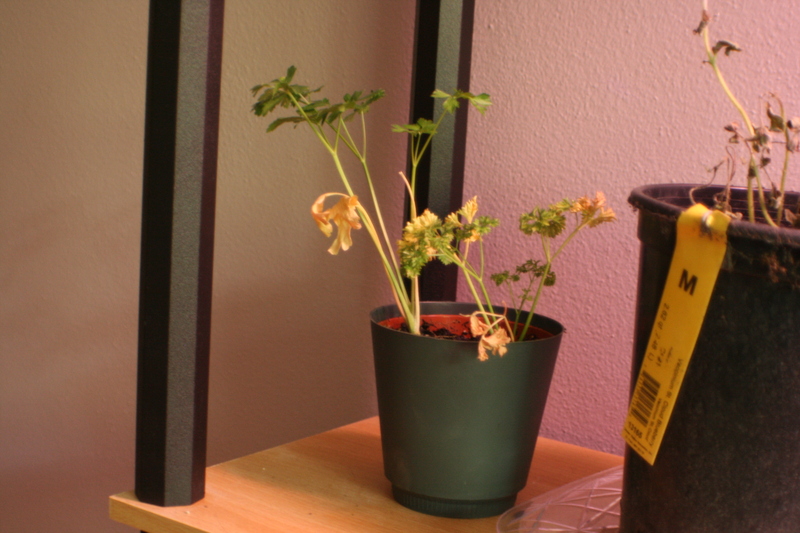 I, er, was a bad host and stole their plants. Thyme. I has it. Also, all the puns. Tarragon. There aren’t enough tarragon puns. 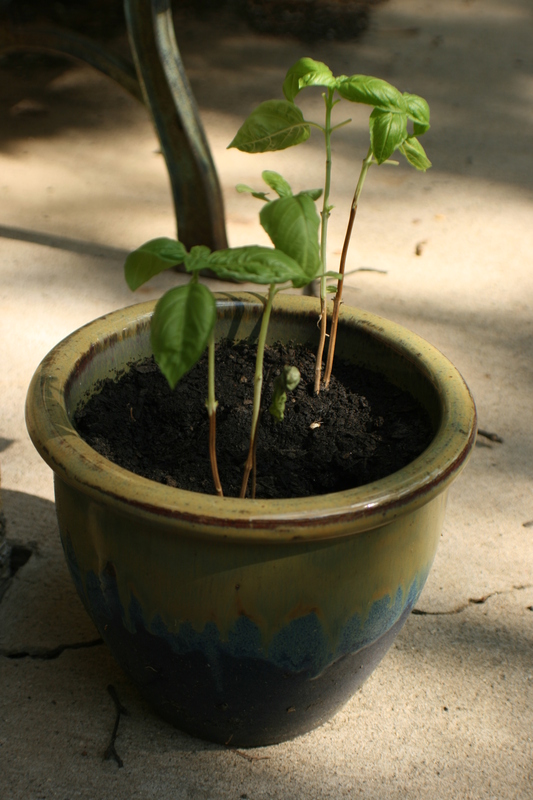 They all went into pots with the same generic potting soil. It turns out, based on research I did to see how much sunlight and water they’d need that this was probably a bad idea. Oh well. Hopefully they won’t all die at once, and I’ll do a better job of planting them correctly if I replace them one at a time. Oregano. I feel confident about this one. 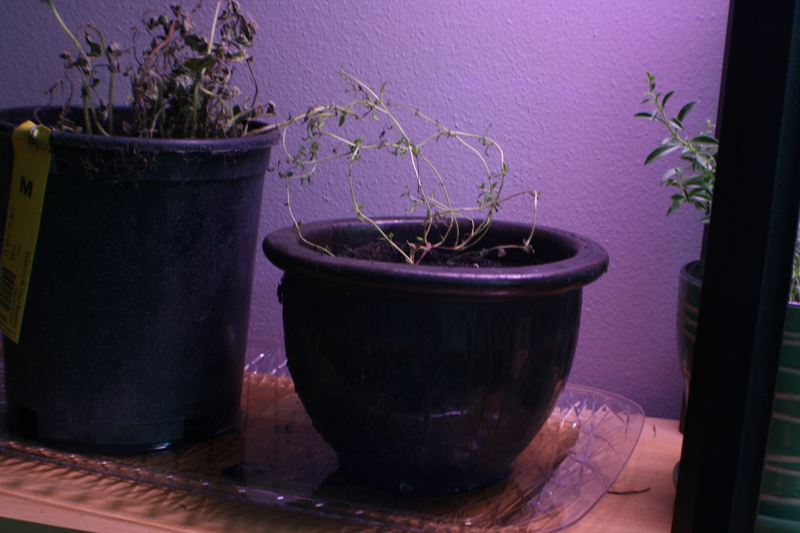 All of these herbs, so says my internet research, want full sun, so I went ahead and plopped them all directly under the grow light. They do not, however, all have the same watering habits. Some of them are water hogs, others get crabby if they have too much water. 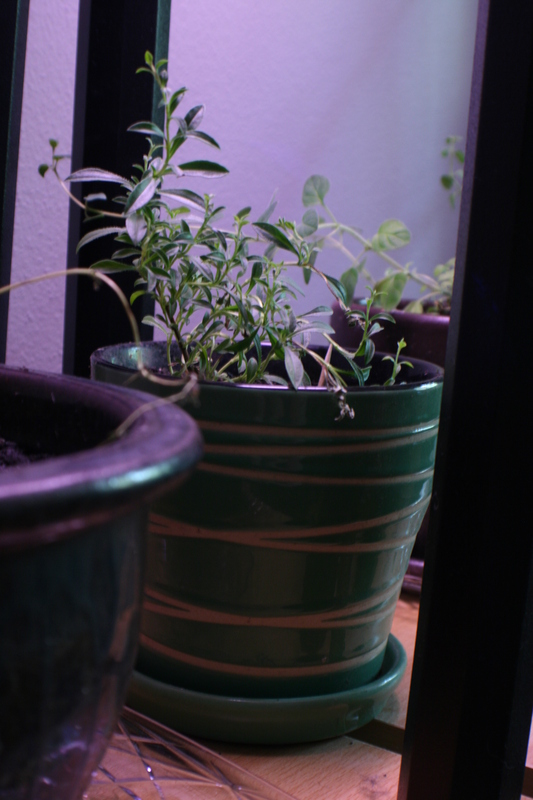 The rosemary and the basil, specifically, should allegedly be wilting before you water them. This explained how that one rosemary plant died. Watering it more when it turned brown was apparently the wrong move. Woops. Sage, for the whole Simon and Garfunkel complement. 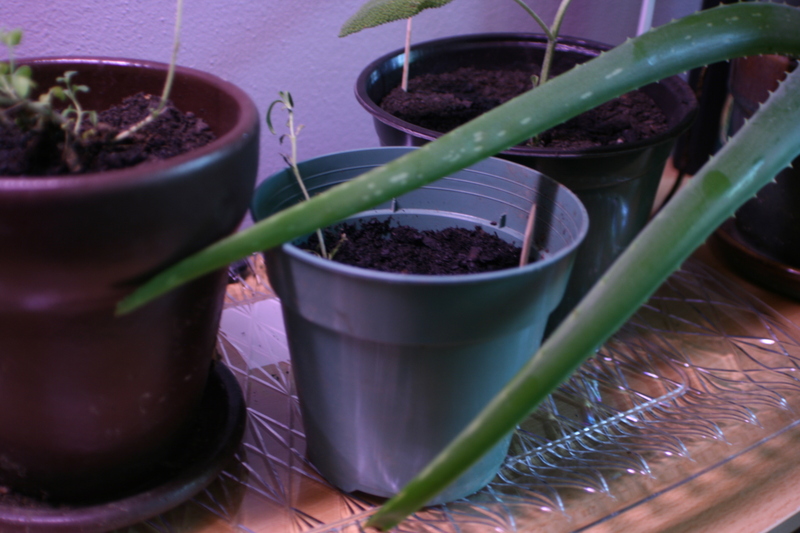 I wound up grouping the plants that don’t want much watering, then sticking toothpicks in their pots to remind me that there are special watering instructions involved in those plants. In an ideal world I’ll someday know enough about growing these herbs I won’t need a reminder. Until then, I’m seconds away from constructing a giant spreadsheet. The basil looks really happy to me. 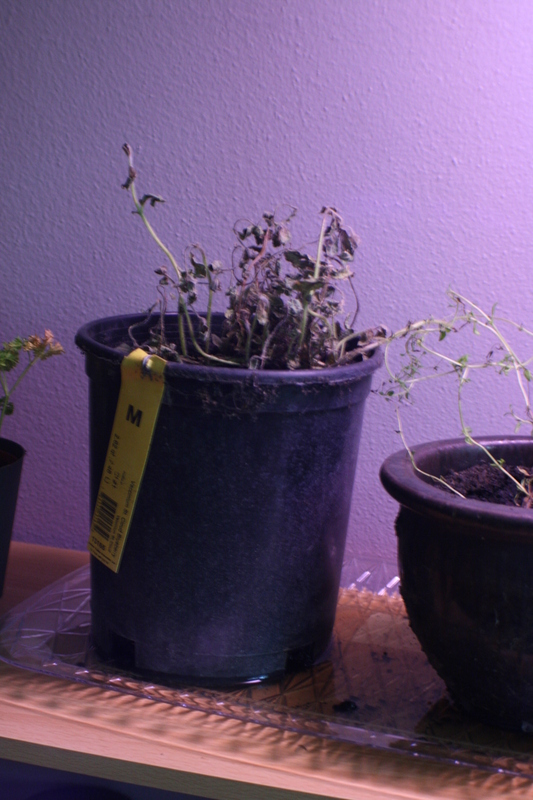 Research indicates that basil doesn’t like environments below 75°. My house has been in that range more than once of late, but not by choice, so the basil is taking up residence at the front door for now. Hopefully it’ll cope with my indoor temperature preferences during the winter without too much tragedy. 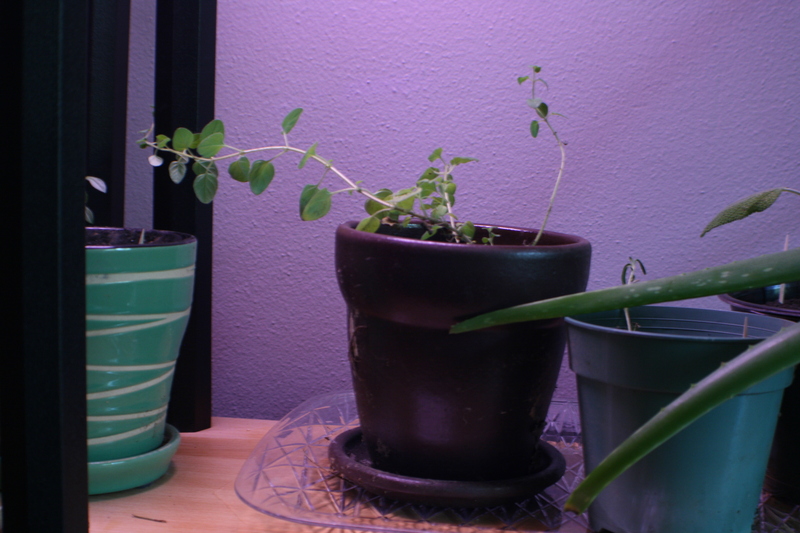 Hopefully in a couple months I’ll have pictures of a robust herb garden taking over a wall of my office. Wish me luck!